great combination of cuteness and ferocity. 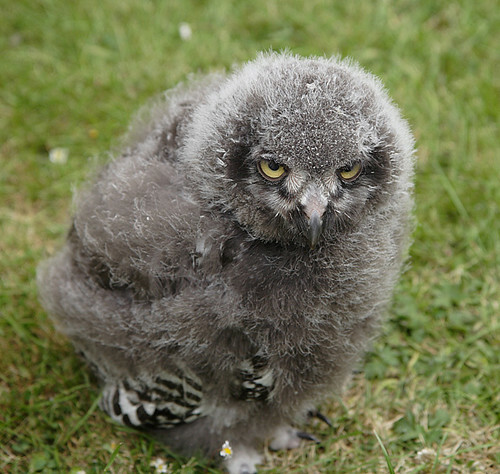 Baby owls are the surly teens of the animal kingdom. I’m sure this one would be smoking a clove if it could. I want to hug the emo right out of this fuzzy baby!!! crabby babby owl needz coffee. That’s one cute, downy mo-fo.